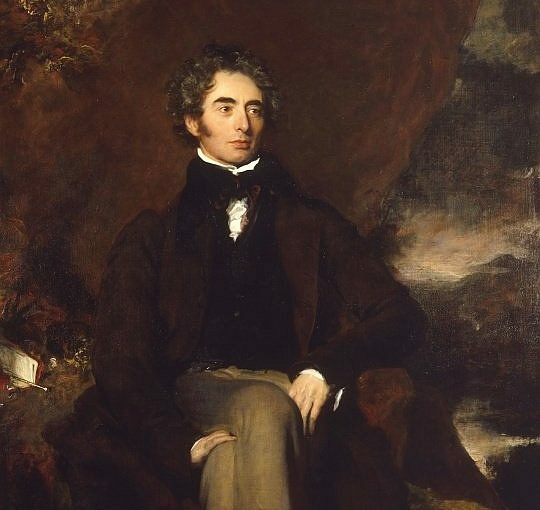 Perhaps the sisters were thinking back to one particular example of this when they made their decision, and one that involved one of the greatest literary figures of his day – Robert Southey. 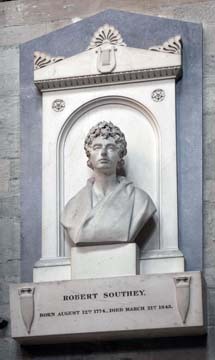 Southey was born in Bristol in 1774, and was one of the leading figures of the Romantic era of poetry. 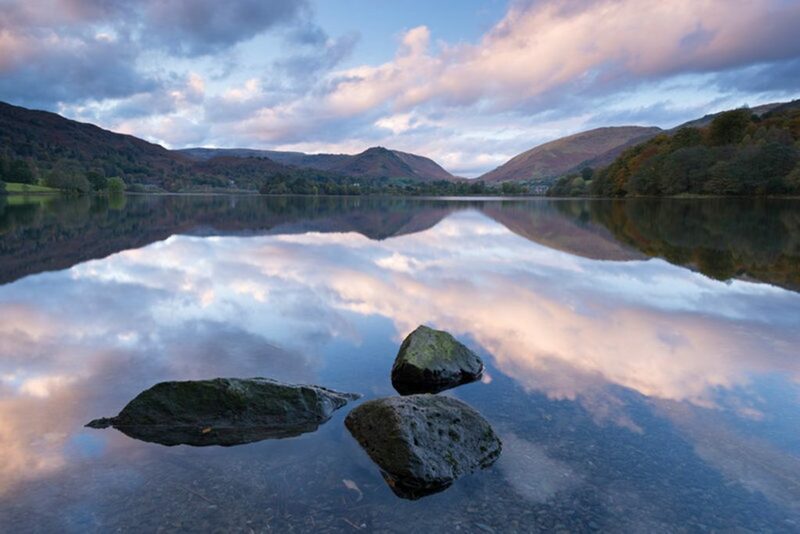 He is most particularly associated with William Wordsworth and Samuel Taylor Coleridge as the three ‘Lake Poets’. He served as Poet Laureate for thirty years, from 1813 until his death in 1843 (when he was succeeded by Wordsworth). The Brontë sisters had been writing poetry since a very early age. Their teenage poetry was often concentrated on the imaginary lands of Angria, created by Charlotte and Branwell, and Gondal, created by Anne and Emily Brontë. As they grew older, however, they began to write about the things that touched them in real life too: nature, love, despair. Charlotte Brontë was never one to sit on her laurels, so she determined to seek an expert opinion on whether her poetry was good or not, and whether she should persevere with it. She turned to the top expert she could think of, the poet laureate Robert Southey. We know that Charlotte wrote to Southey on 29 December 1836, when she was twenty years old and serving as a teacher at Roe Head School. Alas, we don’t have her original letter or the poem it contained within it, but we certainly have Southey’s reply, and it’s become infamous. Charlotte must have been delighted with this pronouncement, even though she would characteristically try to dampen her enthusiasm a little. It may also be seen as rather a generous judgement from the poet laureate: Charlotte is of course a brilliant novelist of the first order, but her poetry is often very long, and lacking the sparkle of the verse produced by Anne and especially by Emily. Southey here is stating that once Charlotte marries, and after all marriage is the reason d’etre for a woman’s life, she will no longer want to write poetry: she will have all the excitement she needs in darning her husband’s socks, washing his clothes and cooking his meals. There are a couple of other surprising things about this letter. One is that Southey says that he believes the writer has sent the letter under an assumed name, when in fact she had used her real name in contrast to her later actions as a writer. Perhaps most surprising of all, however, is Charlotte’s reaction to it – she was not angry, but elated. Southey has become castigated for his views expressed in the letter. Of course it seems laughable at best, if not downright offensive, to believe that literature cannot be the business of a woman’s life. The poet laureate was, however, a product of his time, and his views would have been widely agreed with, as they even were by Charlotte at first. Just what changed Charlotte’s viewpoint in the time between receiving this letter and becoming Currer Bell to escape prejudice? She certainly became more worldly-wise in the intervening nine or so years, but perhaps she was also influenced by Emily and Anne. There is no doubt that Charlotte would have read Southey’s letter to her sisters, possibly to Anne on the day she received it, as she was then a pupil at the school Charlotte was teaching in. There is also little doubt that they may have been less impressed with the letter. There is no better rebuttal to Robert Southey’s opinion than the poetry novels of Anne Brontë, and of her sisters Charlotte and Emily. That is very interesting! I had always imagined that Charlotte had sent a copy of her first novel to Southey and that he had written a curt and dismissive reply. I hadn’t realised that she had sent him a poem, and his reply seems kind and considerate (though admittedly sexist). It is nice that he took the trouble to write back at all given his age and position. I’m wonder about his comment about daydreams leading to a distempered state of mind. I wonder if he knew some lady who had suffered in this way? It’s also interesting how some people’s reputation goes down over the years. Southey has almost disappeared into obscurity (I think he is most well known now for this letter and for writing down the Goldilocks and the three bears story) while Charlotte and her sisters have become literary superstars. I have been to haworth to the pasonage museum and I saw this letter not sure if an original or a copy from Robert Southey to charlotte bronte I am a member of the bronte society as I admire their novels and their fight to get them published in the Victorian era. This letter from Southey contains issues which pin point the blatant prejudices that women who wished to enter into literature had to endure in that era. Of course you also have to look at this was not the only medium where women where excluded. The political arena for instance where women where fighting to obtain the franchise. The Bronte’s novels where published under male names as many publishers thought perhaps some of the public would not buy the novels because of being written by female writers. I think people like Mary Wollstonecraft George eliot ( Mary Anne Evans) Elizabeth Gaskell and Jane Austen most likely found that being a woman in literature was not an easy path to take. The Bronte’s novel’s are now known worldwide translated into many languages. And been made into films and tv series other the years the bronte novels are just as well known as other authors of that era like Charles dickens and are some of the greatest novels in classical English literature. Previous Previous post: In Search Of Anne Brontë – Now In Paperback!